We at Advanced Resin Technologies Ltd understand the impact on sales when we provided a resin floor finish which creates a bright colourful decorative finish ideal for showrooms. 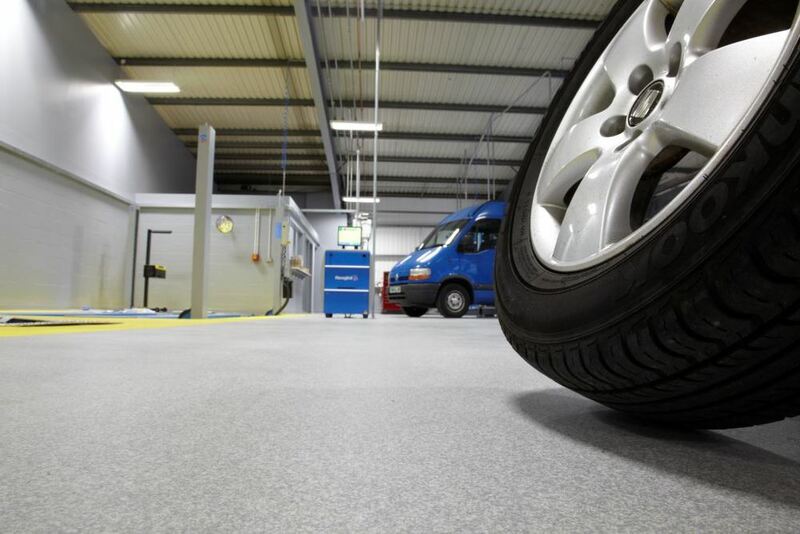 We also have a lengthy relationship with the automotive industry and understand the importance of slip-resistant floor finishes in maintenance depots. Choose from a huge range of colours and enhancing decorative finishes to create the right atmosphere and setting for that all important sale/purchase of a vehicle which is undoubtedly the second largest purchase one can make after the family home. So if you take our advice and choose Advanced Resin Technologies Ltd to provide you with a bespoke colourful, shining and highly polished Epoxy Resin floor coating appropriate to your retail showroom. We can even incorporate corporate logos into your designs so as to identify well-known brands. You will find it easy to maintain, durable and able to with stand the movement of vehicles of all sizes and the incessant wear and tear from members of the public.